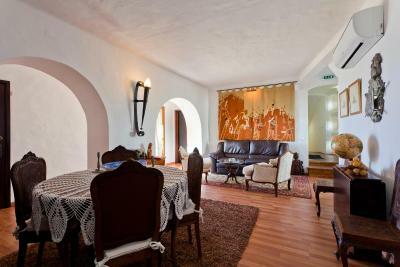 Lock in a great price for Castelo Guest House – rated 9.3 by recent guests! We have been very happy here. It was exactly what we wanted. Comfortable, a beautiful setting and great service! 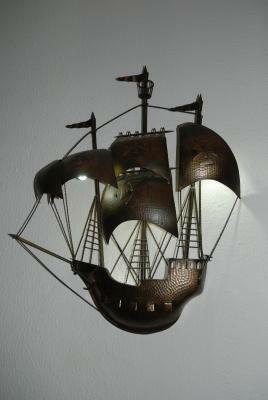 We had an great stay at Castelo Guest House. They have the most magnificent views. All the staff was lovely and the breakfast in the morning was so peaceful out on the deck overlooking the water. We took an amazing boat ride through the caves and dined at the local restaurants. Don’t hesitate! Book a stay here!! Loved this place ! amazing views and the customer service was excellent ! Location and the sea view is unbeatable. Friendly staff, cosy atmosphere. The staff went out of there way to be friendly and helpful. They definitely made our stay extra enjoyable. The breakfasts were delicious. Our room was fabulous and we loved our time on our private deck. The breakfast view was great and the meal was worth to be taken. The food was also delicious. The room was cleaned every day. I would recommend the location. The Guest House was just wonderful. The staff was attentive and the breakfasts were delicious! The views and location were great! I would highly recommend this property! Amazing view from the terrace with very kind and helpful staff. All rooms include air conditioning, cable TV and free access to wired and wireless Internet. All include a private bathroom with shower. Some rooms offer breath-taking views of the sea. Room service is available and guests will find a variety of restaurants within 1,000 feet. 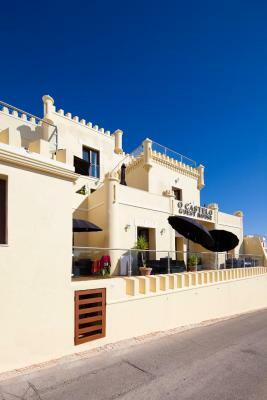 Carvoeiro’s bars and shops are within walking distance. For guests wishing to practice their swing, Vale da Pinta Golf Course is located within a 10-minute drive. Zoo Marine Park is less than 12 mi away and offers entertainment for all guests. 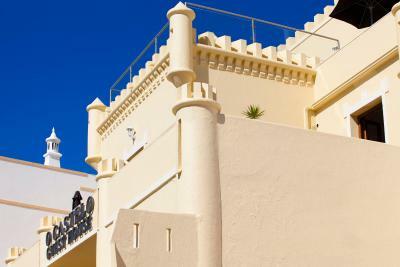 Castelo Guest House provides a shuttle service to Faro International Airport, located a 40-minute drive. Estombar-Lagoa Train Station is 4.3 mi away and Via do Infante, offering motorway access to the whole Algarve, is 3.1 mi away. 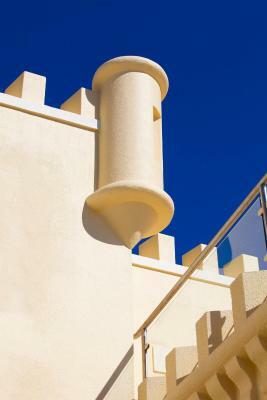 This is our guests' favorite part of Carvoeiro, according to independent reviews. This property also has one of the top-rated locations in Carvoeiro! Guests are happier about it compared to other properties in the area. 뀐 Located in the top-rated area in Carvoeiro, this property has an excellent location score of 9.8! 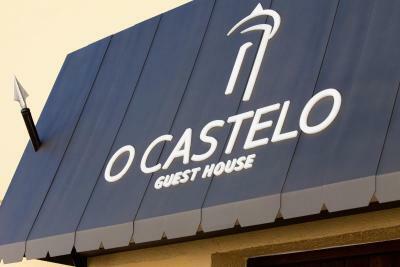 When would you like to stay at Castelo Guest House? Please note that this room only has views over the street. 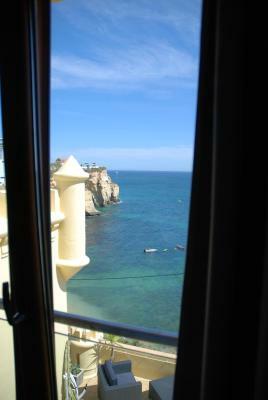 Located on the top floor, this room features a large window facing the sea and the Carvoeiro beach. Guests may enjoy the common terrace, facing the sea, in front of the living room. Offering sea views, these rooms include a terrace with sun loungers, table and chairs. It also includes a flat-screen cable TV, free WiFi, air conditioning and a private bathroom, with a hairdryer and free toiletries. The family room has a double room, an private bathroom with shower, kitchenette and a small living room with a fitment that turns into 2 single beds. This living room does not have a door that isolates the room from the other compartments. 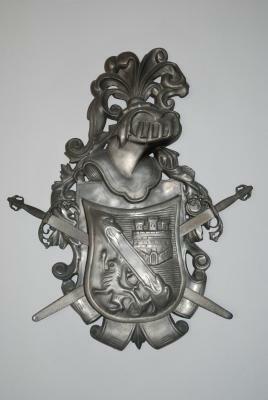 It is specially recommended for a couple with 2 young children. This unit features sea views and a terrace with chairs and sun loungers. This room, features a balcony overlooking the sea and the Carvoeiro beach, an private bathroom with shower or bath, free toiletries and a hairdryer. Free WiFi and air conditioning are provided. House Rules Castelo Guest House takes special requests – add in the next step! One child from 3 to 11 years is charged 20 % of the room stay per night and person when using existing beds. Castelo Guest House accepts these cards and reserves the right to temporarily hold an amount prior to arrival. Please note that a deposit of 50% of the total amount will be charged on the day of booking. This payment is made by bank transfer, Paypal or credit card through Paypal. Please note that payments through Paypal and credit card carry an extra fee. Late check in only available upon request. A late check in fee will be charged. Please inform Castelo Guest House of your expected arrival time in advance. You can use the Special Requests box when booking, or contact the property directly using the contact details in your confirmation. Fantastic place to stay , what a view from the house , at breakfast and from the room . Delicious breakfast. Very nice and helpful staff . A must ! The room was excellent along with the staff and facilities. Would highly recommend. The location was stunning. It’s a couple of mins walk to the beach. We had a lovely terrace with beautiful sea views and plenty of room. The staff were really friendly and we would definatly go back again. We paid a good dime to book this guesthouse, but I was surprised that there was no hand soap in the bathroom. When we asked for some, they gave us shower gels in those small bottles. It was so inconvenient for us to open tiny bottles of gel everything we're trying to wash our hands. Is this regular practice at the Castelo Guest house, or were we just the unlucky ones? Additionally, their shower door wouldn't close properly so the entire bathroom floor got wet after one shower. The breakfast, as everyone else also said, was IMPECCABLE !! The views, the food, the staff, the mood. Everything was perfect. Also this guest house is unbelievably SQUEEKYY CLEANN! Everything is shiny and spotless. Amazing view from nice balcony area of ocean, beach, and cliffside! No improvement needed it is excellent in sll ways! This is a heaven and paradise on earth! This exeeds 5 star! Excellent. Staff super, location unbeatable. Breakfast fabulous! Will stay nowhere else in the Algarve. Our terrace was amazing. Staff were wonderful. Breakfasts were great! A fabulous place, highly recommend! 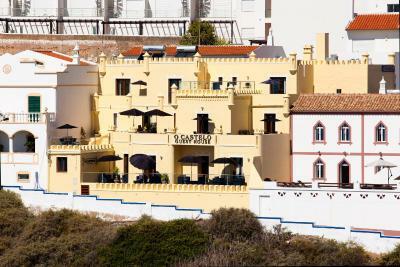 Compared to other properties in the Algarve, breakfast seems over priced as an addition. There are great bakeries in the neighbourhood which are super cheap that I would recommend instead. The electricity was having a few issues in the morning & the lights cut out a few times. Very nice welcoming staff, including the cleaning team who were extremely friendly & helped us when we checked out. Great location near some amazing beaches. Everything, excellent location, beautiful views, staff very friendly and helpful. Lots to choose from for breakfast. On day of departure we had an early flight, and staff left our breakfast in our room the night before. Good location, really amazing sea view! Clean room and nice staffs. The best choice in the small town! The staff were lovely, the position was perfect with great views.